Hello, my name is Melissa and I’m a vegan. Me: No argument. Possibly. Why not? I sincerely believe that you can’t knock something until you’ve tried it (within reason). I’m stubborn, dogged, and determined. I’ll be the first to admit it. When I decide to do something, I jump in with both feet, guns blazing, and ‘Eye of the Tiger’ theme music on repeat in the background (in my head). The 5 week vegan challenge that I decided to do starts today. I have taken the past week to research, soul search, food search, and prepare in the best ways I could. This has included: vegan blog reading, cookbook buying (3 in fact! ), recipe finding, documentary watching, article researching, advice seeking, tête-à-tête conversating, pro and con evaluating, decision defending, habit adjusting, grocery shopping, label scrutinizing, ingredient dissecting, and life habituating, among other things. I’m just happy I’m not doing this alone; my boyfriend, Aaron, is going vegan, too. In an effort to truly understand how a vegan diet can affect our bodies, we have taken the liberty to do a few ‘before and after’s: blood work, weight, and photos. We are not using this as a gimmick to lose weight, we’re not doing it as a detox method, we’re not going to throw red food coloring on the next person we see with leather boots or a fur coat, and we’re not tossing out everything in our lives that have something to do with animal by-products. This is simply a health challenge that we decided to take on as a way to see food consumption, diet, and a lifestyle decision from another perspective. These ‘befores’ will have to wait as they have not come in yet, unfortunately. Vegans do eat, contrary to popular belief. In order to eat like they -I mean we- do, I had to take a grocery shopping trip. Although it ended up being a little pricey, I bought a TON of stuff and feel very prepared for this journey…or at least the start of it. My grocery cart was packed with more produce than I think I’ve ever bought at one time. It actually felt good. I felt almost smug walking around the store, thinking ‘My cart looks WAY better than your cart.’ There were a few things that I struggled to find easily, though. The item I struggled the most with surprised me: crackers. No joke. I was hard-pressed to find crackers that didn’t have sugar, milk, or some other hidden item in the ingredient list that made me put the box back on the shelf. (Why does sugar matter? Keep reading to find out.) I finally did find some, though. 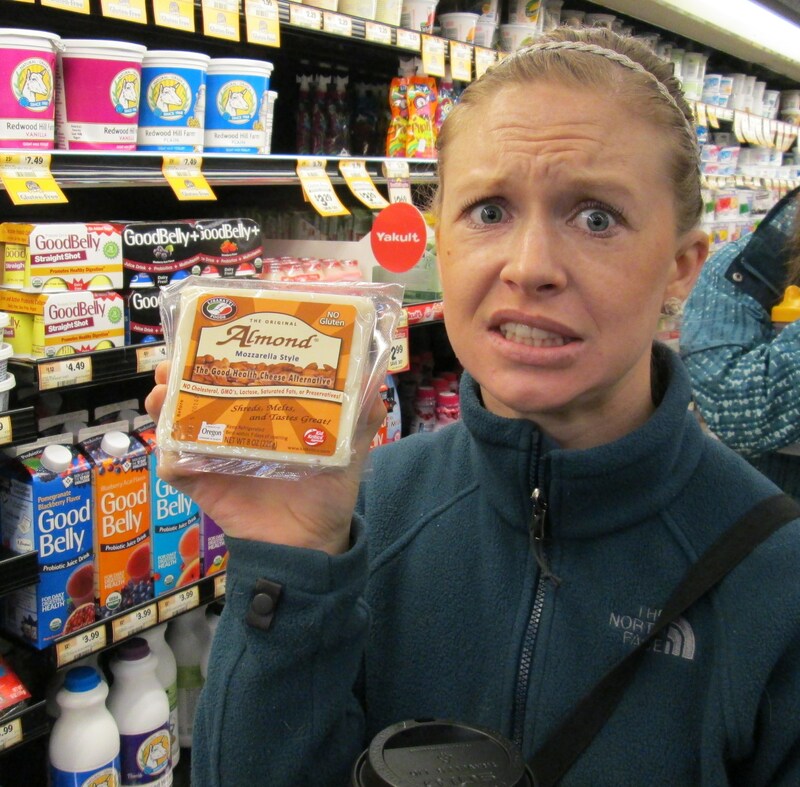 Many products were also labeled ‘vegetarian,’ which I felt was a safe bet on putting them in my shopping cart. At one point, I asked an attendant her thoughts, and she told me that if it did not exclusively say ‘vegan’ on the packaging, there were no guarantees. So I took those out of my cart and put them back. This shopping trip definitely took more time and effort than any previous trips. But, I survived. The items I bought that I’m most interested in trying are seaweed chips (by the recommendation of a friend), vegan cream cheese, vegan butter, and tempeh (which looks insanely unappetizing). I did not buy tofu. Not only is this a health challenge, it has also been quite a learning challenge so far. According to the Vegetarian Times, there are 7.3 million U.S. adults who follow a vegetarian diet, and 1 million of those who are vegan. I’ve been doing my fair share of research on a vegan lifestyle, and then some. Now, it’s my turn to be the enlighten-er. Here’s some insight on what I’ve learned (educational, interesting, shocking, weird, and otherwise) in the past week. You can’t eat, like, anything can you? Uh, actually, you can. You can have anything that is not an animal by-product. That does mean no meat, dairy, fish, eggs, or honey. Anything and everything else is fair game! The last time I checked, that’s quite a variety of food. What do you mean you can’t have honey? What about sugar? Well, it depends on the vegan. Honey is made by bees. Bees are an animal. Therefore, it’s an animal by-product. For all intents and purposes of this vegan challenge, Aaron and I discussed honey, beeswax chap stick, etc., and we decided that we would not cut out products from bees, but simply try to limit them. As for refined sugar, no it does not come from animals, but can be processed with animal bone char to remove color, impurities, and minerals, according to Vegan Action. 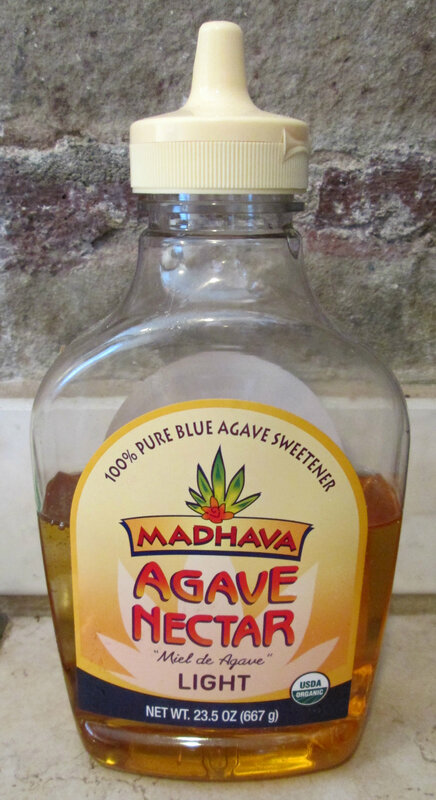 I love agave nectar, so I’ll probably use that as my honey/sugar substitute. How are you going to get enough protein? The American culture is obsessed with protein consumption. From protein shakes to 12oz steaks to protein-enhanced foods, there is an overabundance of protein in our diets, which can actually be harmful to the body and stress out our internal systems. Based on a 1,800 calorie diet, only about 270 of those should come from protein. Don’t get me wrong, protein is an important component of a diet and should be consumed daily. There are, however, many different ways to get adequate amounts of protein without eating meat. Shocking? Not so much. Nuts, seeds, beans, vegetables, tempeh, tofu, grains, and lentils are a few examples of foods that contain protein….not from an animal. 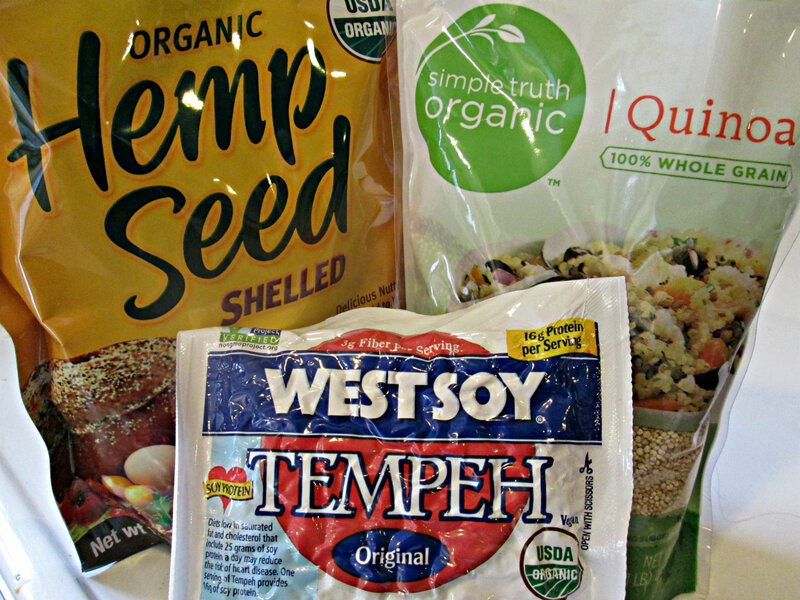 An additional fun fact is that quinoa and hemp seeds are complete protein foods, which means they boast all of the essential amino acids. Is a vegan diet even healthy?!?!?!! The truth is, a vegan diet can be devastating to your health if you don’t keep a balance and variety of foods to sustain the necessary vitamins and minerals your body needs to function properly and efficiently. I suppose this is true with the ‘regular’ American diet as well. As a vegan, you can have carbs (hallelujah! ); however, if refined carbs turn to be the primary source of your daily caloric intake, you are essentially starving your body of all the essential vitamins and minerals it needs to function. Carbohydrates are not the enemy. In fact, they are in fruits and vegetables! If you choose to eat them in other forms, opt for the unrefined carbohydrates. Unrefined carbs are in their most natural state, without unnecessary processing that removes water, fiber, and nutrients. This unnecessary processing is called refining. Refined carbs have a longer shelf life and a more concentrated taste. This is the process that most ‘white foods’ have endured, including white sugar, white bread, cereals, white rice, many pastas, bakery items, etc. What cookbooks did you buy? You can still drink alcohol, right? The simple answer is yes, of course. How else would I get through this?! Just kidding. The more in-depth answer goes back again to what type of vegan you are. Alcohol is not an animal by-product, however, many companies use animal by-products in some way to produce their beverages, mostly for filtering purposes. One way to check if your favorite beverage is vegan is through a site called Barnivore. Like I said, I’ve done my research. Maybe I went a little overboard, but I like to be prepared. There are a multitude of resources out there for those interested in learning more; I never ran in to a problem trying to find information. I’m excited for this journey and trying something new. It has already altered the way I look at food, particularly the ingredients in food. 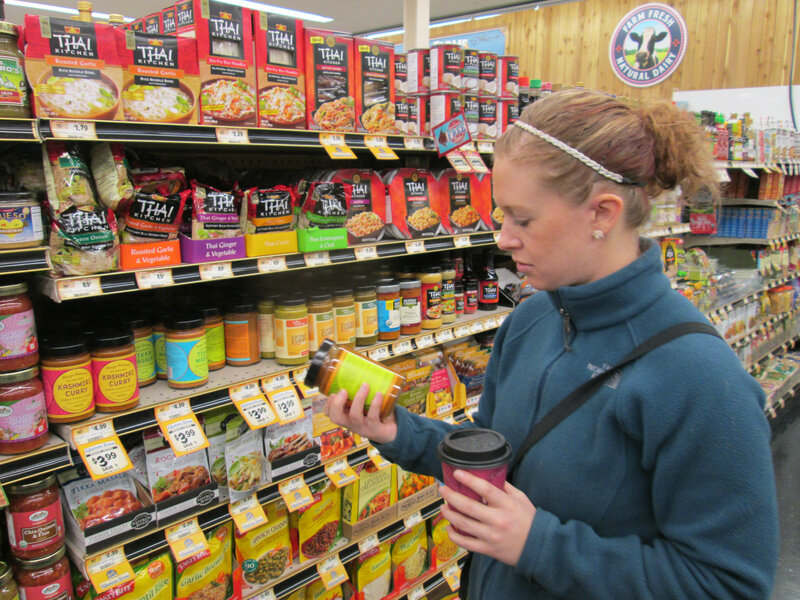 I’ve challenged myself, and am challenging you, to look at the ingredient list on a few of your food products at home. It can be quite surprising what is in there, and sometimes what isn’t. Well, here I go: 5 weeks of changing my habits, changing my lifestyle, and changing my tune to ‘Eye of the (Vegan) Tiger’. This entry was posted in Cooking, Inspiration, Recipes and tagged challenge, cooking, homemade, inspiration, recipes, vegan diaries. Bookmark the permalink.